The second version offered a Level knob, cool red and blue graphics, and a Squelch (leave it to EHX to label something “Squelch”) switch intended to control undesired feedback along with noise reduction circuitry. EHX claimed a max delay time of 400ms, but this is always debatable, as individual units can very greatly. 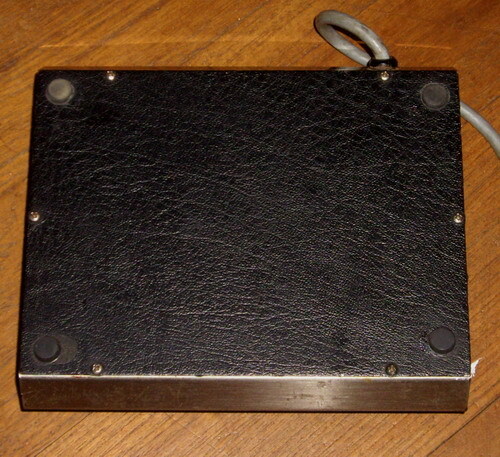 Some effects units are so unique and beloved that they are instruments unto themselves. More than just a stompbox that adds a particular noise, they seamlessly integrate themselves into a rig and become a part of the player. 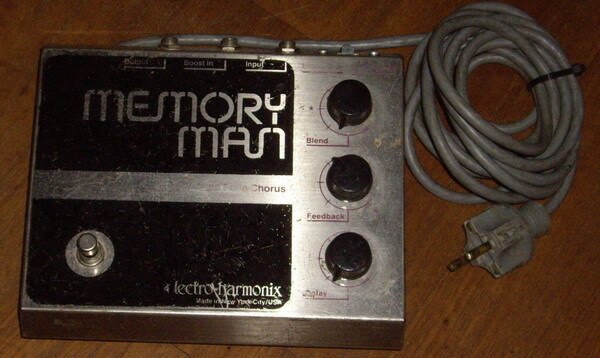 The Electro-Harmonix Deluxe Memory Man is one of those pedals. The Edge used it to great effect in U2’s early recordings, and Radiohead’s resident pedal wizard Ed O’Brien uses one alongside his Strymon Timeline. In a video featuring O’Brien and TheGigRig boss Daniel Steinhardt, O’Brien says taking the Memory Man off your board is like “taking your soul away.” It is telling that the Memory Man—with its fairly large size and special power requirements—still justifies a spot on even the most advanced pedalboards alongside powerful digital delays with incredible analog emulations. Its warm, modulated echo creates luscious soundscapes effortlessly and it is dually capable of providing staccato rhythmic patterns or subtle background washes. The Memory Man as we know it is the product of evolution over time, so let’s go back in time and take a look at the various incarnations of this epic echo.